Home Blog Your Colours, Our Design - Personalised Seed Bead Bracelets. 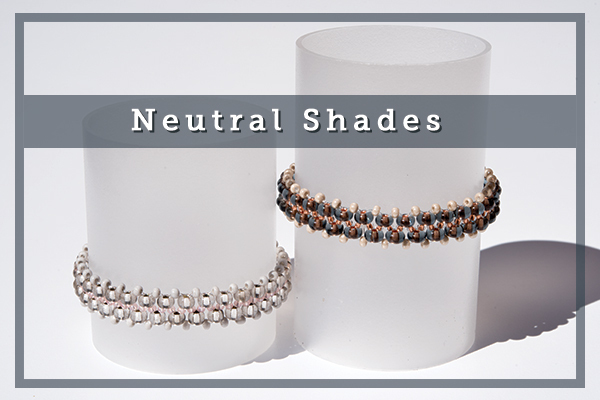 We have designed these fresh and stylish seed bead bracelets especially for beginners. 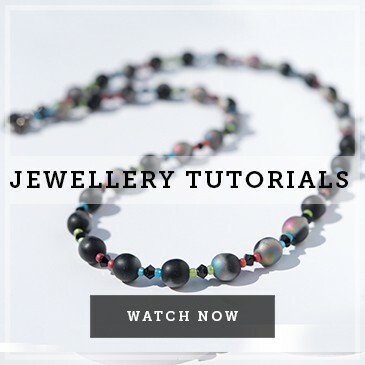 They are the perfect project through which to learn some of the most basic beading techniques whilst gaining confidence in your design choices. What’s more, whilst these gorgeous glass bead creations look as striking as they do chic, our little secret is that they won’t break the bank. The entire project can be put together for under £8. Wow! That’s pretty amazing when you consider that these bracelets are made using only genuine Czech glass seed beads; the same beautiful, traditional beads that have been made by artisan glassworkers in the Czech Republic since 1870. Czech glass seed beads are a plump, rounded ‘Taurus’ (ring-doughnut) shape. Their gentle curves give a glorious fluidity to jewellery which also makes for an incredibly tactile and easy-to-wear statement piece. Our glass seed beads come in three different sizes as illustrated below. Our seed bead bracelets can be created using either two or three different sizes of seed bead (Size 5/0 is 4.5mm, size 9/0 is 2.5mm and size 11/0 is 2mm). Seed bead sizing uses a traditional sizing system, but the basic rule of thumb is that the bigger the number, the smaller the bead. Design choices – over to you! So here’s where the fun begins! 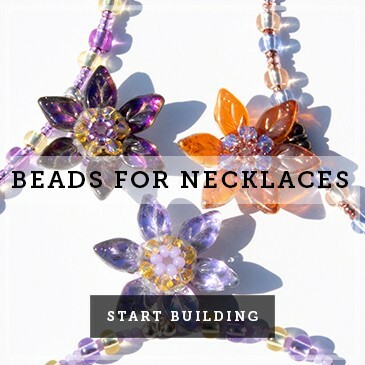 Once you have decided whether you would like to work with two or three bead sizes, it’s time to choose your bead colours. 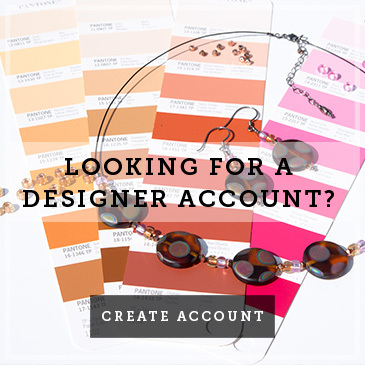 Maybe you want to make a bracelet to match a certain outfit or reflect a season or mood, or to give as a gift to someone who loves to wear red, for example? Whatever your inspiration, now is the time to browse our seed bead directory and pick out your three packs of beads to suit your brief. Don’t forget to use the handy colour picker on the LHS of the screen to narrow your selection. To add further depth and interest to your bracelet, you can also play around with matt effects, glossy textures and metallic or rainbow finishes. Be bold and have fun! Colourways – a helping hand. If you’ve had a look at our seed bead directory and are baffled by choice, then don’t panic! We’ve created some fabulous online colourway sets (that’s design speak for ‘colour combinations’!) specifically for this bracelet design. We hope these sets will help to narrow down colour and style combinations whilst still allowing you bags of personal design choice. After you’ve browsed our seed bead directory and colourways sets and have picked out a combination to suit your personal style, then away you go. We hope you love this little seed bead project and its stunning finished piece as much as we do! Don’t forget to download our printable bracelet instructions to help you on your way, and, as you work through the project, remember to keep referring to our online video which walks you through the entire project and should help iron out any stumbling blocks. 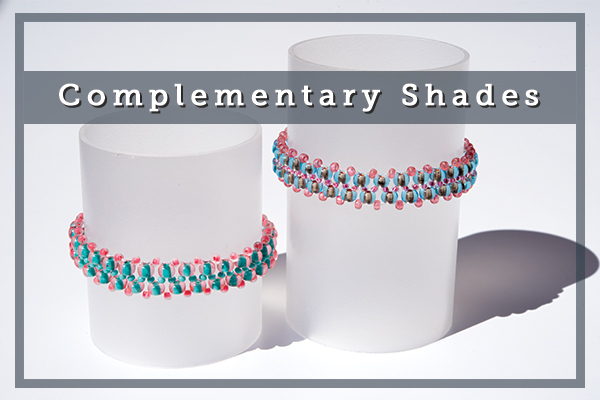 The beauty of this little project is that the only other accessory you will need in order to create your bracelet– aside from your three packets of seed beads – is some jewellery elastic cord. It really couldn’t be simpler. 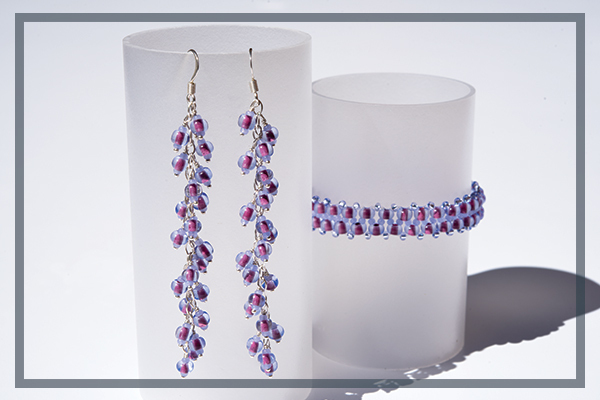 Once you’ve bought your beads and made your first bracelet, you can easily use any left-over beads to create matching earrings, or a simple ring or necklace. 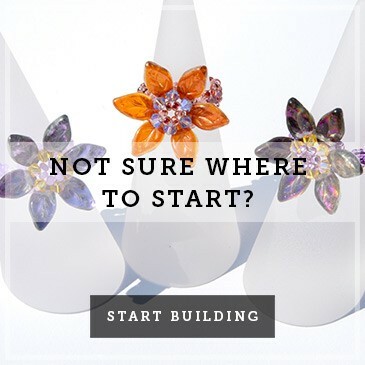 Your journey into the vibrant and intoxicating world of jewellery making has only just begun! We want to know how you got on with this project. 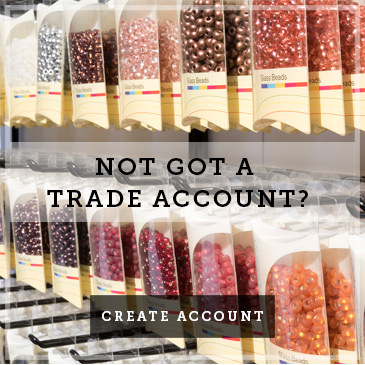 We’d love you to upload pictures of your completed seed bead bracelets to our Facebook page, or comment below to let us know how easy (or otherwise!) you found it. Enjoy, and happy beading! Kate, Jonathan and all the team at Boundless Beads. P.S. If you’re not quite ready to take the plunge into jewellery-making yourself, but know of someone who loves to craft and be creative, then one of our colourways sets and a printed set of our bracelet instructions would make a fabulously unusual gift.